It’s hot outside. We mean really hot. Is been over hundred degrees It seems like for two weeks straight. That means that we don’t want to spend a lot of time outside on her hands and knees. However, if we don’t take care of our landscape now, it could really come back and hurt us in the future. Landscape maintenance doesn’t have to be hard or take lots of time, but they could pay huge dividends when the weather cools off and we do want to spend more time outside enjoying our beautiful landscape design. What we want to talk about today are some simple steps to keep your landscape looking good and keeping it ready for the full, while not spending tons and tons of time outside in the heat. We know it’s ironic that at the beginning of the summer we talked about having too much water in your lawn and garden. However, Times have changed. We are not getting the rainfall that we did in late spring early summer. We need to make sure that our lawn and plants are getting plenty of water. The good news is, Thanks to the room we did get you can water more than once a week. Please check the city website to know what your water days are and always respect the city’s code of when to water. While it lasts be sure you’re watering your landscape as much as the city allows making sure your plants have plenty of water is a simple way to start with landscape maintenance. One of the best ways to keep your plants healthy and growing when you can’t spend as much time out in the heat with them, it Is to make sure they have plenty of nutritionish food to get everything they need to grow strong. While this may not seem like typical landscape maintenance, Setting up your plants to continue to grow in this heat by mixing in some plant food to your soil we’ll help them survive the dog days of August. Stop by and visit with one of our team members. They would love to find the perfect plant food for your exact situation. Our team of experts we’ll get you exactly what you need. When we spend less time in our landscaping, one of the first things that happens, is weeds and grass will come into the beds. Any plants, no matter the species, that is in your flowerbeds takes water and nutrients from the soil away from the plants that you want to grow. Making sure that those unwanted plants don’t grow in your beds will give your Beautiful flowers and shrubs the best chance to survive the heat. Don’t forget, our lawn care teams can help you with this landscape maintenance tip when they come out to mow your lawn. Just let them know you want them to keep an eye on the landscape when you set up your schedule. 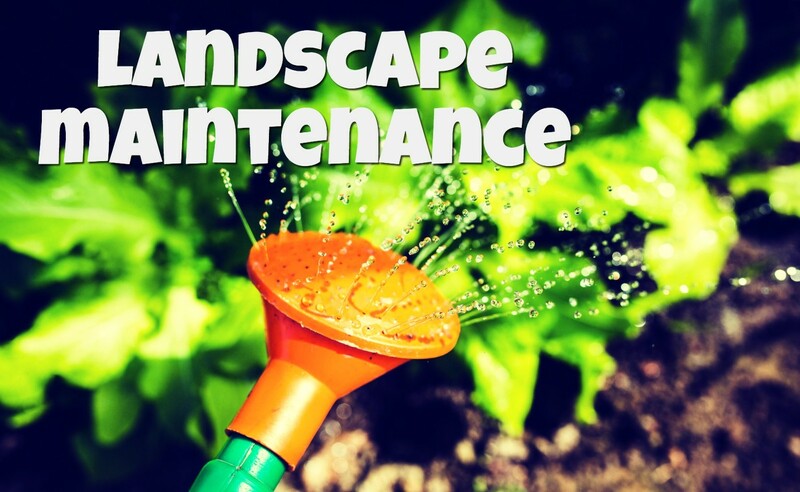 Landscape maintenance is not as much fun as planting and growing your plants and the early spring and enjoying them in the late spring and early summer. However, Proper landscape maintenance we’ll keep your plants and yard alive in these last part of summer. No matter your landscape needs or farmhouse decor dreams, our staff can help you find exactly what you’re looking for. Stop by making and Sons Gardens, we’d love to visit with you.